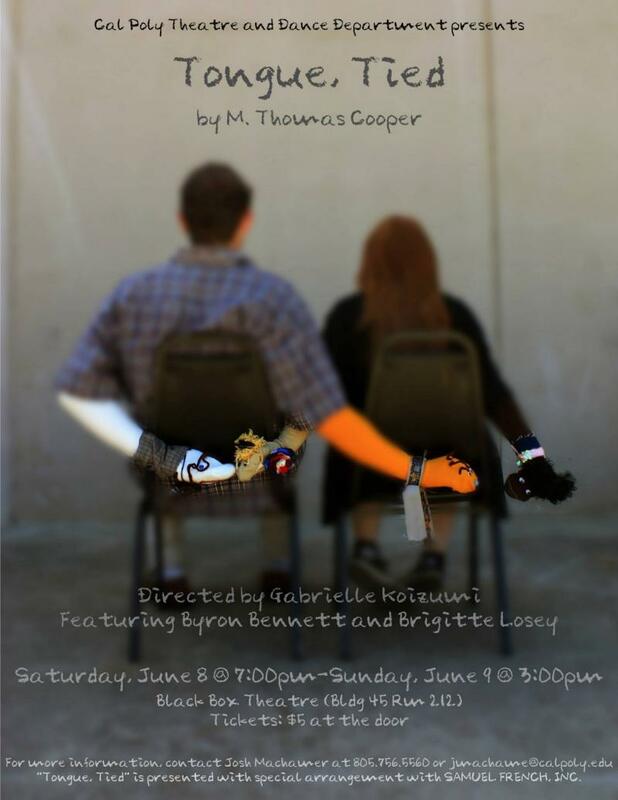 This version of Tongue, Tied was presented June, 2013 at Cal Poly San Luis Obispo. It starred Brigitte Losey as Tina (Latisha and Jean-Claude) and Byron Bennett as Tom (Sven and Mr. Chan), and was directed by Gabrielle Koizumi. Want to produce a play or send me production photos? Well just click HERE to contact me.